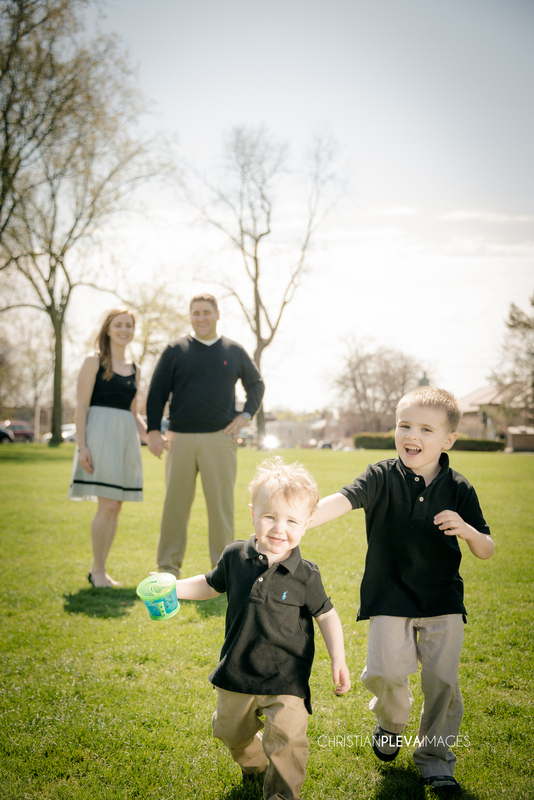 We were ecstatic to have the opportunity to shoot with the Greene family in the Battle Green in Lexington! Brian grew up in Lexington, and him and his wife, Danielle are in the process of relocating from New Jersey, where she is from, to buying a house back in Lexington. As a family, they love going to parks, playgrounds and of course, Red Sox Games, so their choice to shoot in the Battle Green was a perfect location. Their adorable two boys, Aiden, 5 and Connor, 2 had a blast running around and acting out one of Aiden's favorite superheros, Spiderman! Danielle was worried that Connor wouldn't last long during the session, so she was prepared with a football, kickballs and cars...anything to distract the boys from what we were doing! :) Well played Mom!!! Here are a few of our favorites from the session, I hope you enjoy!